A 10-day workers dispute at the Port of Melbourne ratcheted up today with around 1,000 workers marching and blockading the Victoria International Container Terminal (VICT). The dispute between the Maritime Union of Australia (MUA) and VICT centers around a recent audit which revealed that 22 workers did not have a Maritime Security Identification card. 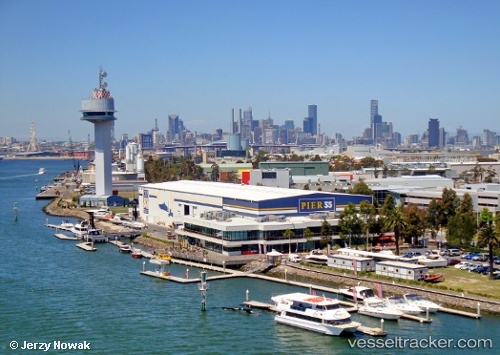 The Victoria International Container Terminal in Melbourne, Australia, is the first fully automated international container handling facility in the world, its operator boasted. Listed port operator International Container Terminal Services Inc. said that VICT, wherein they invested $450 million, was designed to be the most advanced container terminal in the world.